If you want other size,please contact us in any time! FEATURES:Material :PET Easy to paste, easy to clean, friction, no special maintenance.Economical and practical, do not fade, no bubbles, use a long time. PRIVACY:One-way perspective.During the day, the people can see the outside,but in the outside people can't see inside; at night from the strong side of the light can not see the weak side of the light. 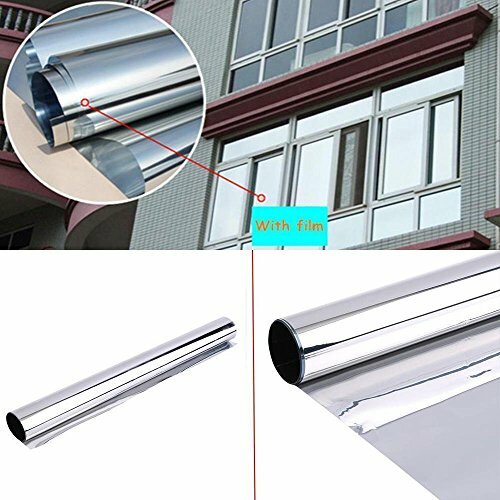 INSULATION: High reflection of sunlight, effective insulation 80%, reduce the indoor temperature. reduce the use of air conditioning, environmental protection and energy conservation. ANTI UV:Effective blocking 99% UVA and UVB, protect the skin, prevent furniture aging, fade. BLOCK SUN: Efficiently reduce the direct sunlight during the day, reduce the sun glare, improve indoor visual comfort, protect the eyes. If you have any questions about this product by HOHO, contact us by completing and submitting the form below. If you are looking for a specif part number, please include it with your message.